In the first of a delectable new Southern-set baking cozy series, Sophia Cummings, pastry chef extraordinaire, must craft the perfect cake for an old friend�s wedding while sifting through the suspects in a murder. Bucolic Rumford, Kentucky has glowing fields of bluegrass, a fine selection of bourbons, and now a professional pastry chef. Broken-hearted Sophia Cummings has come home from New York City. She�s not there a minute before she�s charmed into making her high school friend Charlotte�s wedding cake. The kitchen at the Rumford Country Club seems perfect until Chef Emile�s body is discovered, sprawled near the stove, a cast iron skillet on the floor close by. With one look at the shiny, new frying pan, Sophia knows it�s not Emile�s. She offers her knowledge to Sheriff Carter and her talents to Evelyn, the manager, who needs an interim chef. The mood in the country club is grim: Emile�s peppery personality had burned members and staff alike. Sophia wonders which one of them burned him? 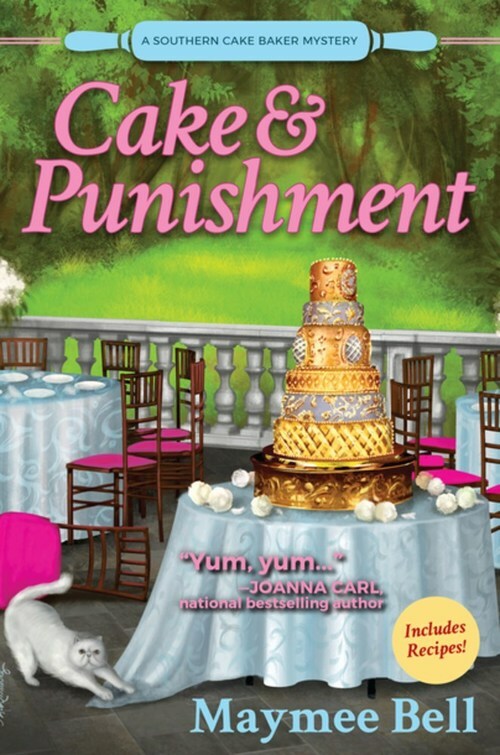 Perfect for fans of Joanne Fluke and JoAnna Carl, Cake and Punishment�with authentic Southern recipes!�will satisfy your sweet tooth.